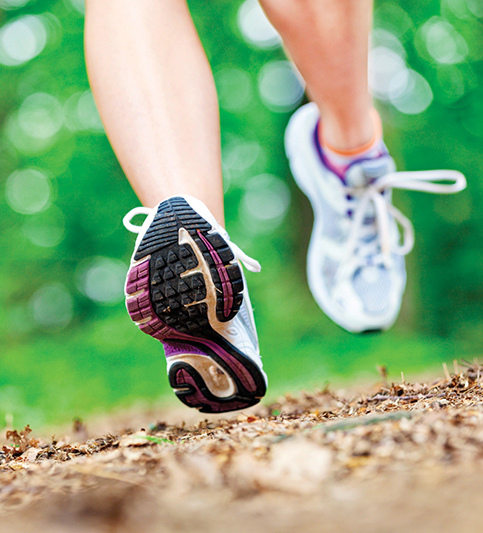 Although other studies had linked heel-strike impacts to injuries, none had ever done so prospectively, said first author Irene Davis, PT, PhD, a professor at Harvard Medical School and director of the Spaulding National Running Center, both in Boston. The study included female runners who had been free of injury for at least six months at the time of enrollment. After two years, 144 of the 249 runners had experienced injuries. But of particular interest to the researchers were two subgroups: 103 who sought medical attention for their injuries and 21 who remained uninjured at the end of the study and who had never suffered a running injury before. Comparing these two groups led to the study’s most significant finding, according to Davis. “When you look at the people who have never been injured, they land significantly more softly than those who have injuries or an injury history,” Davis said. Those who sought medical attention were used for comparison because their injuries were more likely to be chronic than other reported injuries, she said. The authors evaluated vertical impact peak (VIP), which is characteristic of rearfoot-strike runners but not nonrearfoot strikers, as well as peak vertical force, vertical instantaneous loading rate, and vertical average loading rate (VALR). They found that VIP and VALR at baseline were significantly lower in the never-injured cohort than in the medically injured cohort. Of the types of injuries associated with high baseline VIP and VALR values, not surprisingly, bony stress injuries were the most prevalent. But muscle strains were reported as often as stress injuries in the 10 runners with the highest VALR values and were the second-most common injury in the 10 runners with the highest VIP values. Those two groups of runners also reported plantar fasciitis, Achilles tendinopathy, and anterior compartment syndrome. The Boston researchers’ findings were epublished in December by the British Journal of Sports Medicine. It can be easy to overstate the significance of the results, said Reed Ferber, PhD, an associate professor of Kinesiology and Nursing at the University of Calgary, who helped collect data for the study but took no part in the analysis. “It’s a good study that adds a nice piece to the very complex puzzle of running related injuries, but it only addresses a part of the puzzle,” Ferber said. Also, he said, attributing injuries to a short phase of the gait cycle, in this case about 30 ms, may not be reasonable; the foot is on the ground for another 220 ms after that and the swing phase, which sets up the foot for impact, can add another 300 ms.
Future research directions might involve using kinematic and kinetic data to estimate loading within the joints involved in running, Ferber said. Another option is to use rapidly advancing wearable technology to monitor what happens among real-world runners outside the lab. Davis said the next step will be to see if gait retraining can reduce impact variables in runners, and if that in turn reduces the risk of injury. “Now that we have this study suggesting more strongly that impact is related to injuries, we need to see the effect of training people to run more softly,” she said.